I found two of the fledglings in the Cherry Grove. I can’t tell them apart at this point but I suspect the one we see the most in this video is the youngest, only because it is still pretty clumsy. It came down from its branch chasing a rat, but ended up tossing clumps of dirt and branches. The youngest hawk is still in the nest, about a week past when it was expected to fledge. Dad and one of the fledglings pays a visit. We hope it is OK in the summer heat. Christo visits the nest to eat dinner with the unfledged young hawk. One of the fledglings visits the unfledged sibling in the nest. This is supposedly rare, though these East Village hawks don’t seem willing to follow any of the rules. 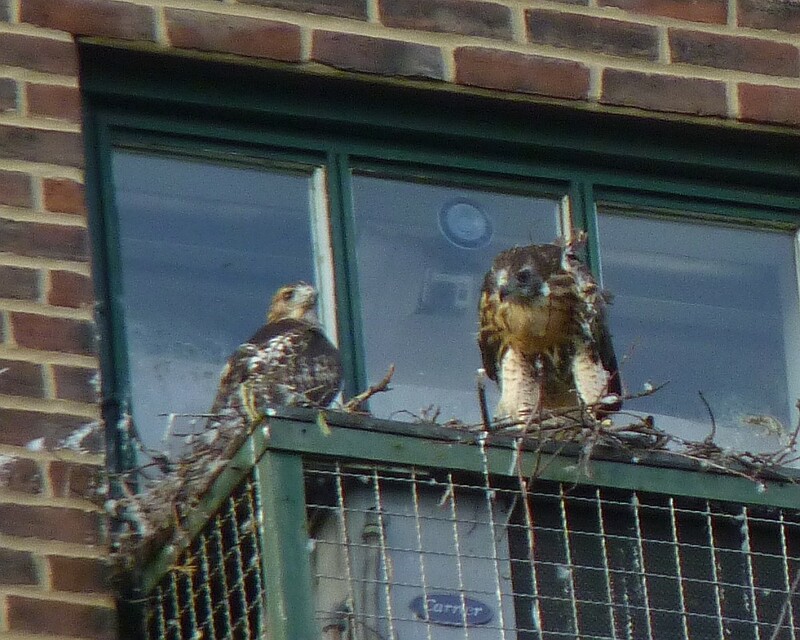 The Red-tailed Hawk chicks in the nest overlooking Tompkins Sq. Park show off their aerial skills, catching a little bit of air over the nest. The oldest chick at this point is 43 days old. Some of the hawk experts I’ve talked to say they are still a few days away from leaving the nest. 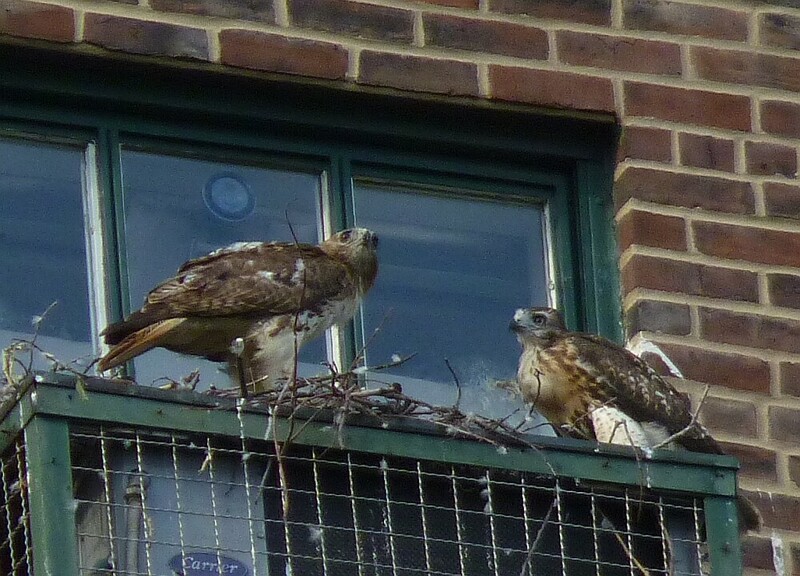 The Red-tailed Hawk chicks over Tompkins Square Park are soon to leave the nest. Mom and Dad fly in together to bring them breakfast. People tell me hawk stories. Copyright © 2019 Tompkins Trees.